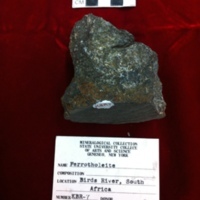 The Birds River Complex is a "Bell-Jar" intrusion first described by du Toit in 1905 and then by Ealey and Robey in 1976. 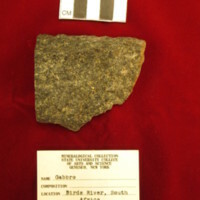 One of the best exposed sections across the margin of the complex is on the farm Denwood, in the southwestern corner of the complex. 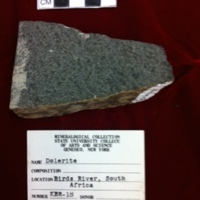 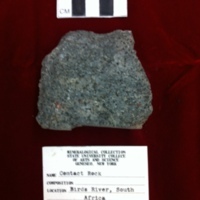 The samples were collected from a mafic intrusion near Denwood farm. 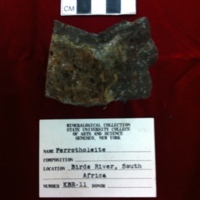 These samples from the Karroo Complex were collected from the previously studied section of the complex and neighboring areas. 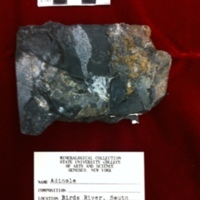 Cox, K.G., 1972, The Karroo Volcanic Cycle: Journal of the Geological Society, v. 128, p. 311-336.Â doi: 10.1144/gsjgs. 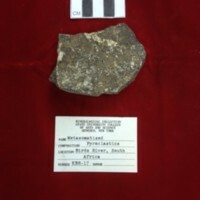 128.4.0311. 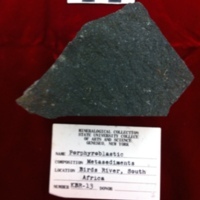 The petrogenesis of the Mesozoic igneous rocks of south-Eastern Africa is related to the tectonic event believed to be the initiation of the break up of Gondwanaland. 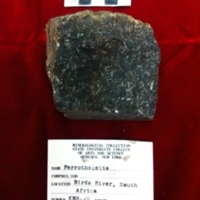 The cycle began with the rise of potassium-rich picritic magma, the source material for rocks of the northern province, Rhodesia. 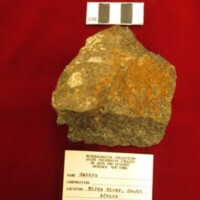 On top of and peripheral to the main magma body, a zone of sodic magma was generated and formed some of the rocks of the north and most southern rocks. 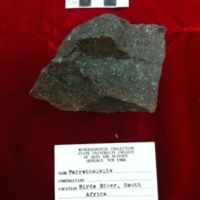 White, R.S., 1992, Magmatism During and After Continental Break-Up, Geological Society, London, Special Publications, v. 68, p. 1-16. doi:Â 10.1144/GSL.SP.1992.068.01.0. 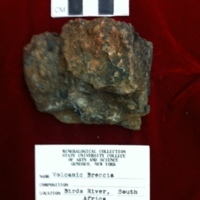 Strongly fractionated residue from the partial crystallization of tholeiitic gabbroic magma was emplaced at depth within sediment of the upper part of the Karroo succession. 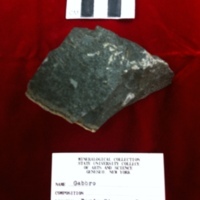 The residue was most likely tapped from a deeper intrusion during cauldron subsidence, but was engulfed by a later intrusion of olivine gabbro on a large scale. 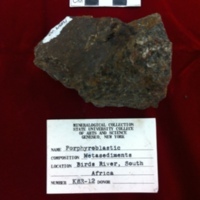 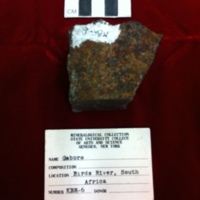 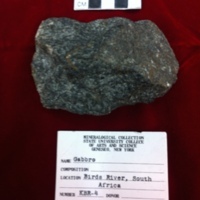 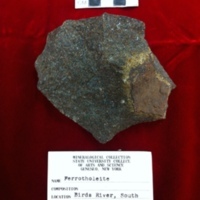 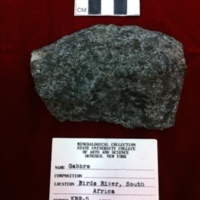 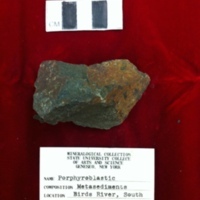 Eales, H.V., and Booth P.W.K., 1974, The Birds River Gabbro Complex, Dordrecht District, Transactions of the Geological Society of South Africa, v. 77, p. 1-15. 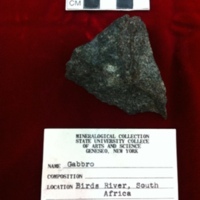 On the gabbros of the Birds River Complex.